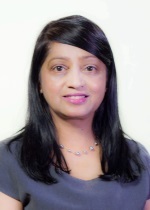 Dr Chavan is a Senior Lecturer in Organisational and Management Studies in the Department of Marketing and Management within the Faculty of Business and Economics. She is the recipient of the Vice-Chancellor’s Citations for Outstanding Contribution to Student Learning (2016). Dr Chavan's research and teaching focuses on International Business Strategy, Cross Cultural Management and Entrepreneurship. She has published in academic journals such as International Journal of Intercultural Relations, International Journal of Quality and Reliability Management, The Journal of health and social care in the community, International Journal of Entrepreneurship and Innovation, and the Journal of Teaching in International Business. She has received the best paper award at the 48th ICSB conference in Belfast for her paper- Chavan, M. (2003). 'Diversity- Good for Business' and was awarded the Emerald Literati award for excellence for her paper – Chavan, M. (2006). An appraisal of environment management systems: A competitive advantage for small business in the face of global competition, Management of Environment Quality: An International Journal, Volume 16, Issue 5, 2005, and pg. 444-463 ISSN: 1477-7835.She is an exponent of the experiential method of teaching. 2014- New Colombo Grant $5000 Project: "Internship opportunities at Tata Steel, India". 2012- L&T grant $9300 Towards an optimum service model: International Vs Local student's perception of quality of education". Journal of Total Quality Management & Business Excellence. 2011- MQRDG Grant: "Building Linkages for Internationalisation: Comparison of Manufacturing and Services Small - Medium Enterprises (SMEs) for Pathways to Internationalisation". 2010 –Macquarie university ARC seedling grant in collaboration with Associate Prof Stephen Chen $9000-"Exploring the business case for a sustainable construction Industry through market, fiscal and education based solutions. 2008- 2009-Macquarie University-Learning and Teaching Research group LEAD II $3000-"Experiential learning in International Business". 2007-$80,000, 2007-2009, MURIF GRANT Co-Investigator - Macquarie Research Innovation Fund Grant, "Regulating Vertical Networks with Horizontal Laws," research team consisting of Dr Niloufer Selvadurai, Professor Peter Gillies (Business Law), Professor Graham Town (Engineering) and Dr. Meena Chavan (Business). Abel, R. & Chavan, M (2016). "The balance of exploration and exploitation in inter- and intra-organizational relationships and its performance implications". Doctoral Colloquium Best Paper Award at EURAM 2016 Paris (France) - Issuer -European Academy of Management on the 31 May 2016.Stream - "Strategic Management"
Hartl & Chavan, M (2015). "How does the influence of culture shape conflict management and dispute resolution strategies in transnational business relationships? - A conceptual framework". International Human Resource Management Conference, Organiser; school of Labor and Employment Relations, The Pennsylvania State University, USA. Best Paper award. 2008 Academy of Indian Management Scholars International Distinguished Service Award, Purdue University, USA. Emerald Network Literati Award for research excellence 2006, "An appraisal of environment management systems: A competitive advantage for small business", Management of Environment Quality: An International Journal, Volume 16, Issue 5, 2005. Best Paper Award 48th International Council of Small Business, Belfast, Chavan, M. (2003) "Diversity- Good for Business", 48th ICSB Conference 2003, Belfast 14-18 June 2003. Teaching through case studies scholarship, Harvard University, 2005. Experiential teaching in International Business. Meena started her research career in International entrepreneurship. Her Ph.D. dissertation is an empirical resource-based study exploring international migrant entrepreneurs in Australia. This research has produced the first Australian model for Ethnic Migrant Business Creation -"The Productive Diversity Model", which is specific to Australia and measures the value of a multicultural migrant workforce to bolster "International Business" and export earnings through links to their country of origin. Meena has published in diverse areas in International business; liberalisation, foreign direct investments, gap between sales and investments' in South East Asia and Western economies, mergers and acquisitions in the telecommunication Industry, born global firms and experiential teaching in International Business. Her other publications have been in the area of business operations management; telecommunication, quality management, small business, women in business, balanced scorecard , resource management technologies, environment and sustainability and the Global Financial Crisis. Chavan,M. and Carter,L. (2017) "First year management student’s – expectations and perceptions" International Journal of Education Management “B”Journal. Chavan, M. & Agarwal, R. (2016) "The Efficacy of Linkages for Relational Capability Building and Internationalization-Indian and Australian Mining Firms" International Journal of Business and Economics, 2016, Vol. 15, No. 1, 51-78. Chavan,C, Bowden,J., Lundmark,E. and Zwar,J. (2014) "Exploring the drivers of service quality perceptions in the tertiary education sector: Comparing domestic Australian and international Asian students" Journal of International Education in Business Volume 7 Issue 2. "B" journal in the ABDC list of journals. Lim,C.,Chavan,M.,Chan,C. (2014) "Culture"—The elephant in the room in structured behavioural selection interview, International Journal of Intercultural Relations 42 (2014) 1-24,Elsevier "A" Journal in the ABDC list. Chavan, M. (2011) "Framework Identifying the Heterogeneous Resource Constraints faced by Women Entrepreneurs at the Planning and Managing Stages", International Journal of Interdisciplinary Social Sciences. Volume 5(6) ISSN: 1833-1882 CG Publishers. (in press) ERA listed Journal. Chavan, M. (2009) "The Balanced Scorecard - a new challenge", Journal of management development, Volume 28/5, ISSN: 0262-1711-19, June, 2009. Chavan, M. (2009) "The Efficacy of Web-Based Teaching in Experiential Learning Ubiquitous learning" An International Journal: ISSN: 1835-9795, vol 1. January, 2009. Chavan, M. & Raiche, H. (2008) "The Australian Telecommunications Access Region ten years on", Telecommunications Journal of Australia Vol.58 (2-3): pp. 20.1 to 20.16. DOI: 10.2104/tja08020 ISSN (printed): 0040-2486. Chavan, M. (2005) "Diversity makes Good Business. International Journal of Equal Opportunities", International Volume 24 No 7/ 8 2005.pp38-58 ISSN: 0261-0159. Chavan, M. (2001) "How to write a better thesis. By Davis Evans - Book Review, Small enterprise research", The Journal of SEEANZ, pp.82-83, Vol. 9, May 2001 issue. Ambler, T., Chavan,M.,Clarke, J., Matthews, N. (2013) Social, Communicative and Interpersonal Leadership in the Context of Peer Chapter in Springer: Book Chapter. Chavan, M. (2010) Chapter on Global Alliance for book, Different Voices; Managing Communication across Cultures Palgrave Macmillan, a division of Macmillan Publishers Limited "International Alliances"
Abel, R.; Chavan, M. (2016): Joint knowledge creation and application in strategic alliances: How knowledge management practices enhance top management's learning intent. BAM 2016 Conference. Abel, R.; Chavan, M.; Maurer, I. (2016): Contextual ambidexterity in the light of national culture: A comparative study of the interplay of managerial and organizational components in Australian, German and Indian biotechnology SMEs. BAM 2016, Conference. Chavan, M. (2012) "Building Linkages for Internationalisation: Comparison of Manufacturing and Services SMEs - Pathways to Internationalisation", AIB conference, Washington. Chavan, M. (2012) Building Linkages and Relational Capability between the Indian and Australian Mining Industry, Leveraging India: Strategies for Global Competitiveness Conference, Sydney, Australia, April 11-12, 2012. Chavan, M (2012) Pathways to Internationalisation: Services small to medium enterprises. 7th International conference on Interdisciplinary social sciences, Barcelona Spain, 25-28th June, 2012. Lim, C.,Zhuravleva, E., Chavan, M.(2011) Tripping over the culture talk in the structured selection interview process, BAM Conference, Aston University Birmingham, UK. Chavan, M. (2010). "The aftermath of the global financial crisis. Australia's trade position". ANZIBA Conference 2010 - Global Business and Sustainable Development15th - 17th April 2010, Sydney, Australia. Chavan, M. (2009). Testing Kolb's experiential model in a large international business class. Lead conference, Macquarie University, September 23rd 2009. Chavan, M. (2008). A Global Competitiveness of Australian SME's. 2008 International Council for Small Business World Conference, June 22-25, 2008, Halifax, Nova Scotia Advancing small business and entrepreneurship from research to results. Chavan, M. (2008). Experiential teaching in International Business' Ubiquitous learning and teaching conference, 17-21 November 2008, Illinois University, Chicago. Chavan, M. (2005). A Best Practice Model - Demystifying The Women Entrepreneurs In Sydney, Australia, 50th World Conference of ICSB at Washington, USA,15-18, June 2005. Chavan, M. (2004).Reaching the masses in Developing Economies-A Distance education approach. Hawaii Conference in Business. ISBN: 0908858051. Chavan, M. (2004).The Balanced Scorecard -A New Challenge. The AIMS Conference, Bangalore, India December 2004. Chavan, M. (2002) "Born Global firms in Australia", AIB, San Juan, Puerto Rico June 28-July 1, 2002. Chavan, M. (2000).Education and training needs of the ethnic entrepreneur 27th International Small Business Congress, Seoul Korea in Nov 2000. Chavan, M. & Mahoney, L. (2000).Quality and small business-Too-expensive formal and complex: Is this the truth? pp. 435-442, 4th ICOQM, Sydney Dec 2000. Chavan, M. (2000).Entrepreneurship Education Can it make a difference? 45th ICSB at Brisbane, Australia, June 2000. Chavan, M. (1999). A Frame Work for examining the ethnic resources as a sustained competitive advantage, 2nd (ICOQM) International Conference of Operations and Quantitative Management in Ahmadabad, India, Dec 1999." Chavan, M, (1999).The changing role of ethnic entrepreneurs in Australia, 44rth ICSB at Naples Italy June 1999. Chavan, M. (1997).Entrepreneurship development amongst the ethnic community in Australia, 42nd ICSB (International conference in Small business) at San Francisco June 1997. PhD research has been nationally recognised through publications in the Queensland Business Review, CPA Journal, Greater Western Sydney Conference proceedings. Representative on the Ernst and Young Entrepreneurship awards. Corporate training in "Finance for non finance managers" in Dubai, India and Australia. Advisory committee –Eurasian Entrepreneurship and Management training conference, Amsterdam, 2007. Lecturer in charge "Business without borders", 2006-2008, Macquarie University. Dr Chavan is currently the unit coordinator and lecturer for the Undergraduate unit BBA340 - Cross Cultural management and the postgraduate unit BUS804 -International Business strategy and BUS854 Leading and Managing in Culturally Diverse Environments. Queensland Multicultural office Publication on Diversity Date: May 2004. Last Updated: 2017-09-12 12:05:49 by Ms Yang Yang.